Bevin Branlandingham is an ultra rad warrior for self-acceptance. She is a writer, aerobics instructor, healer and performer in Los Angeles, CA who believes that all bodies are good bodies and makes the world safe for people to love themselves. An award-winning Femmecee and event producer, Bevin’s monthly body positive dance party Rebel Cupcake was named one of the reasons New York City is the Best City in the World by Time Out New York. She moved to Los Angeles in 2016 and is excited to be part of an upstart community that turns the stereotype of thin obsessed Hollywood on its head. 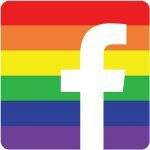 She goes live on Facebook every day, blogs at queerfatfemme.com and offers Reiki, energy healing and life purpose readings distance and locally. She teaches her one-of-a-kind healing aerobics class Fat Kid Dance Party (For All Sizes to Heal from Body Oppression) in Los Angeles, on tour and in an aerobics video available at FatKidDanceParty.com! Bevin talks about going from an NYC lawyer and queer party promoter to SoCal aerobics instructor and Fat activist. How she started doing reiki healing after a tarot reading, and the benefits of energy healing on yourself and others. The importance of creating safe and accessible spaces for fitness. The journey from dance parties to Fat Kid Dance Party class. Holding trauma and oppression in the body, and healing it through exercise. Creating community through self care. Body liberation activism, body currency and being a gender warrior.